“It feels unbelievable and I’m really touched by the jury’s positive feedback. I almost fainted when they gave me the highest score,” said Anita Pettersson. Just four minutes is how much time the Researchers’ Grand Prix finalists had in which to entertain, inform and inspire both the audience and expert jury with a presentation about their research. Seven researchers from across the country qualified for the final, which was held on 29 November in Stockholm. Anita Pettersson beat the other finalists with her presentation on the importance of phosphorus and received the winner’s trophy to much applause from the audience. Her informative presentation about the role that phosphorus plays in the global food supply was judged to be the best by both the audience and the jury. “To compress several years of research into four inspiring and entertaining minutes is no easy task. But as a scientist, it is important to be able to explain your research in a way that even those who are not experts can understand. This is vital, if research is going to be used in society,” said Sven Stafström, Director General of the Swedish Research Council, who presented the prizes at the final. The audience’s electronic votes carried twice the weight as those of the expert jury. The jury consisted of Agnes Wold, Professor of Clinical Bacteriology at the University of Gothenburg, actress Anja Lundqvist and Patrick Hadenius, a journalist and editor of a number of Swedish scientific magazines, including Research & Progress. The finalists qualified for a place in the final via regional heats in Borås, Karlshamn, Lund, Malmö, Stockholm, Uppsala and Västeras held as part of the European science festival, Researchers’ Night. Second place was awarded to Marlene Andersson from the Swedish University of Agricultural Sciences in Uppsala and Nellie Linander from Lund University came third. 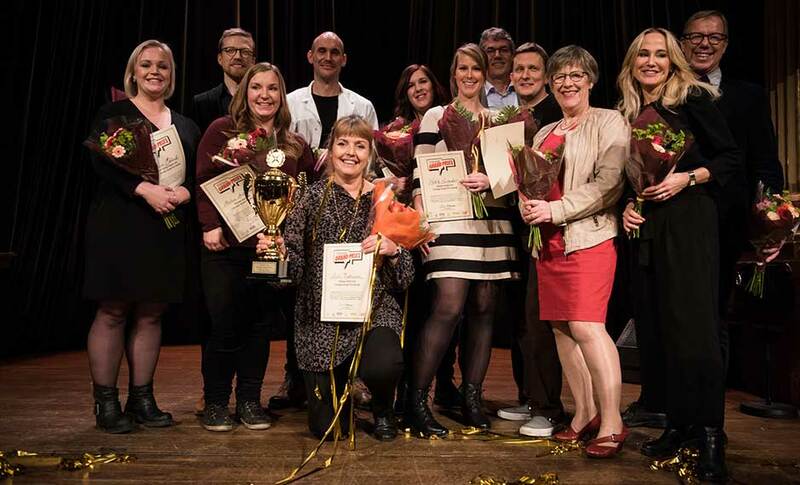 This year’s final was the fifth in a row and was organised by the Swedish non-profit organisation VA (Public & Science) together with the research councils Formas, Forte, the Swedish Research Council and Vinnova.